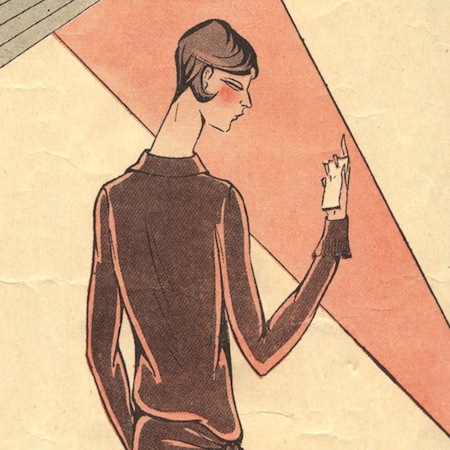 Detail of an illustration from a Paris Patterns promotional booklet, 1929. Congratulations, Chris! I’ll send you an e-mail with the details on claiming your e-booklets. Thank you so much to everyone who entered the giveaway. Thanks especially for your kind regards and suggestions! As a thank you to all of you, I’m having a sale in my Etsy shop through this Friday, July 19th—20% off with coupon code YEARTHESECOND. P.S. The source for my blogiversary illustrations, the 1929 Paris Patterns booklet, is now available as an instant download.